In 1930, a man named Ras Tafari was crowned king of Ethiopia. He took the name Haile Selassie, which means “Might of the Trinity.” The news of a black African king traveled to Jamaica, where some ministers began to preach that Garvey’s prophesy had come true. Neither Garvey nor Selassie were involved in what became known as the Rastafarian movement. When a group of Rastafarians went to Ethiopia to honor , an official of the palace told them to leave. The official did not want to upset the king, who was a devout Christian. This strengthened the Rastafarians’ belief because they claimed their god is not supposed to know he is a god. Haile Selassie visited Jamaica in 1966, and witnessed four days of mass hysteria and worship. Rastafarians claim that white Christian preachers and missionaries perverted the Scriptures to conceal the fact that Adam and Jesus were black. They preach hatred of the white race and the superiority of the black race. The Rastafarians believe they were exiled from Ethiopia to Jamaica because they offended their god. They consider Ethiopia to be heaven on earth. Their rituals include the use of marijuana and the chanting of revivalist hymns. The Rastafarians do not believe in cutting anything on the body. This includes their hair, which they wear in uncut manes of tangled curls called dreadlocks. Reggae singer Bob Marley became the most famous Rastafarian. He died at thirty-six because he would not allow his cancerous toe to be amputated. The Rastafarian movement began in the slums of Jamaica, but it spread to the middle class. Today about 300,000 people, or about one in twelve Jamaicans, consider themselves Rastafarians. 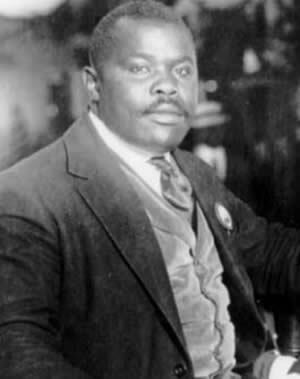 Marcus Garvey (1887 – 1940) was a Jamacian black nationalist. Garvey is considered by Rastafarians as a prophet, but Garvey was never a part of the religious movement. 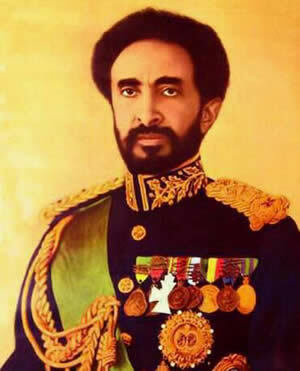 Haile Selassie I (1930 – 1974) was the ruler of Ethiopia from 1930 to 1974. Rastafarians believe Haile Selassie to have been a living God, but the Ethiopian ruler was not a member of the Rastafarian movement. Haile Selassie was an Ethiopian Orthodox Christian throughout his life. 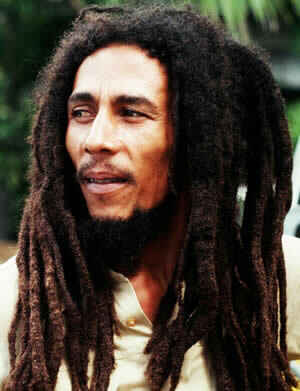 Singer Bob Marley (1945 – 1981) was the most prominent member of the Rastafarian movement.